RALEIGH, N.C. — A legislative proposal to allow speed limits of 75 miles per hour on some North Carolina roads is barreling through the state Senate. The Senate Transportation Committee quickly passed legislation Wednesday giving the state Department of Transportation authority to set speed limits that high for interstates and other controlled access highways. The current limit is 70 mph. Primary bill sponsor Sen. Neal Hunt, R-Wake, wants North Carolina to join 16 other states that legislative research say authorize speed limits of 75 mph or higher. The law already directs DOT to set a “reasonable and safe speed limit” on the basis of engineering and traffic levels. The bill is “just to move traffic along. A lot of times when it’s not crowded, you have an opportunity to go a little bit faster without having to worry about getting a ticket,” Hunt told reporters after the committee meeting. The full Senate was expected to consider the measure Thursday. Hunt envisions sections of Interstate 40 between Raleigh and Wilmington among the potential candidates for the higher speeds. Other highways that are less traveled or less populated may include I-77 above Statesville or Down East along U.S. Highway 64 near to the Outer Banks. Nobody opposed the bill at the meeting, but AAA Carolinas motor club spokesman Tom Crosby raised several concerns later Wednesday. Speed is a contributing factor in one-third of traffic fatalities and a higher speed will invariably result in more deaths, he said. 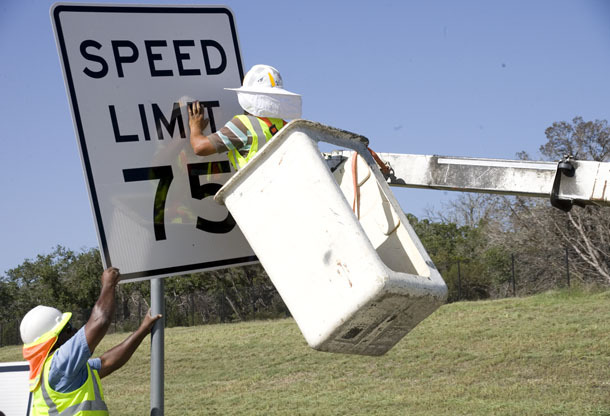 None of the 16 states that allow speed limits of at least 75 mph are on the East Coast. The closest is Louisiana. Gas is approaching four dollars a gallon statewide, and our legislators think it is a good idea to raise the speed limit to seventy five. Lowering the speed limit will increase fuel efficiency and reduce fatalities in crashes that do occur. I am somehow sure that this comment will be ignored and or bashed by the hoi polloi, but the evidince speaks for itself. Matthew needs to stop clogging up the left lane and stop complaining about high gas prices. It feels if I’m not going anywhere going 60. Some people have places to go. Were not forcing you to go this speed you drive slower if you want to pinch your pennys.